I bought a kit for the Ramona Phoenix Cowl Kit from Interweave a week or two ago. I do like the paisley pattern on the cowl but I don’t really like cowls for myself. I don’t like putting things over my head. But the yarn was such a great price that I decided to buy the kit just for the yarn, though I haven’t decided what to make yet. The colors in the above picture are not the same as the kit which included two skeins of Plymouth Galway (210 yds. each) in black and three balls of Gina (109 yds. each) in Ocean color #17. Have you ever purchased a kit for the contents and not for the intended purpose? 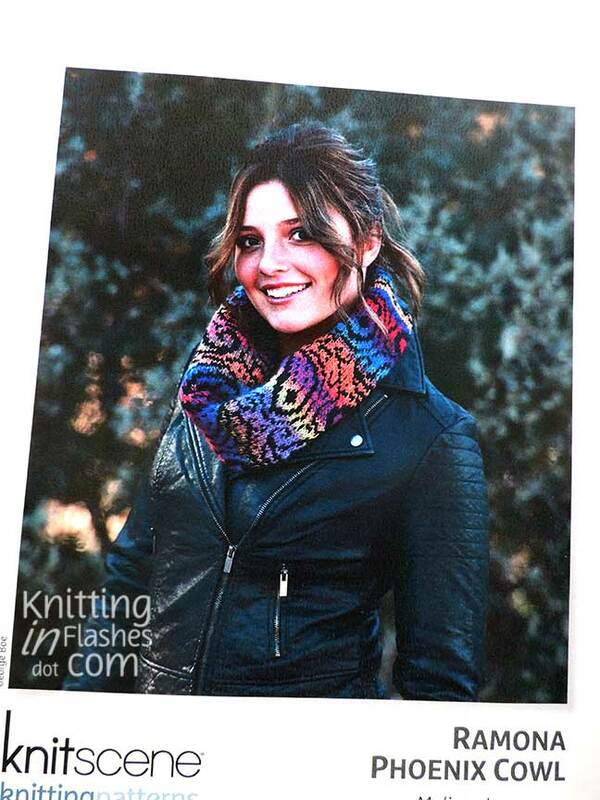 This entry was posted in knit, knitting, knitting pattern, yarn and tagged knit, knitting, yarn by Patti_is_knittinginflashes. Bookmark the permalink. I have purchased a kit for a quilt and very dissapointed that the colors and fabric were totally different than the sample. Made it anyway and HATE it. Your kit is beautiful and looks like quite a challenge! Do you still have the quilt? Reminds me of that gold plaid sofa that Rita bought. She picked out the fabric from a small swatch thinking it was mostly red and blue. I don’t think she was happy with it nor liked it all that much but as it was custom, she was stuck with it. The gradual changes of colors in the yarn make the pattern look more complicated than it is. Yes. 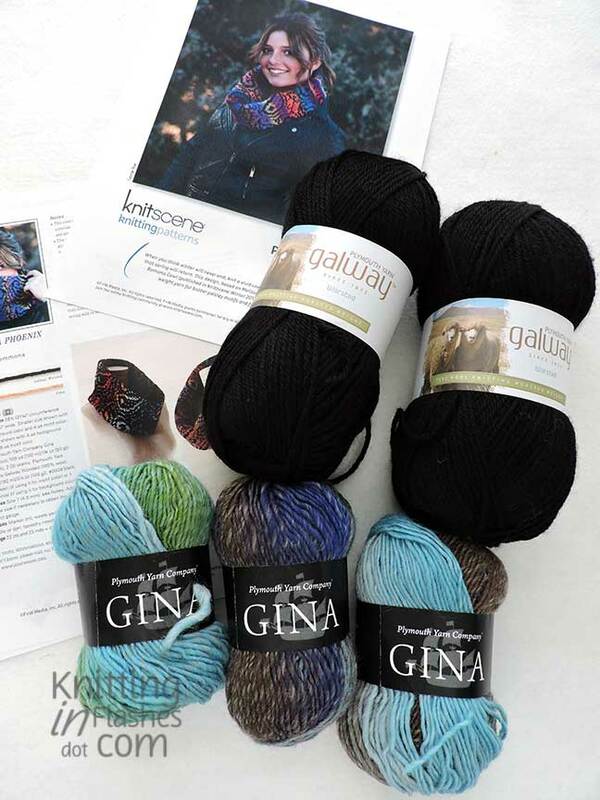 I purchased a Shawl Kit from Craftsy for the Cloudborn Alpaca, Wool and Silk yarn. Then, I decided to just knit the intended shawl. The “There is Water at the Bottom of the Ocean” lace pattern was a big learning curve for me. I still have never worn it, but I might, someday. That pattern is beautiful! Why don’t you wear it? Good question. I usually give everything away, but this one is mine. I haven’t felt that I was dressed up enough to wear it since I finished it. The autumn chill is here, now, so it is time to wear it. I haven’t ever bought a kit just for the supplies, but I understand the temptation. This cowl is gorgeous and reminds me of a fair isle bag I made years ago… East Meets West. I’d be tempted to try to make this pattern into something else, using the paisley design — a scarf maybe, or a bag. Are you interested in the pattern at all? I love the paisley chart pattern and a bag would be perfect! Thanks for the suggestion.